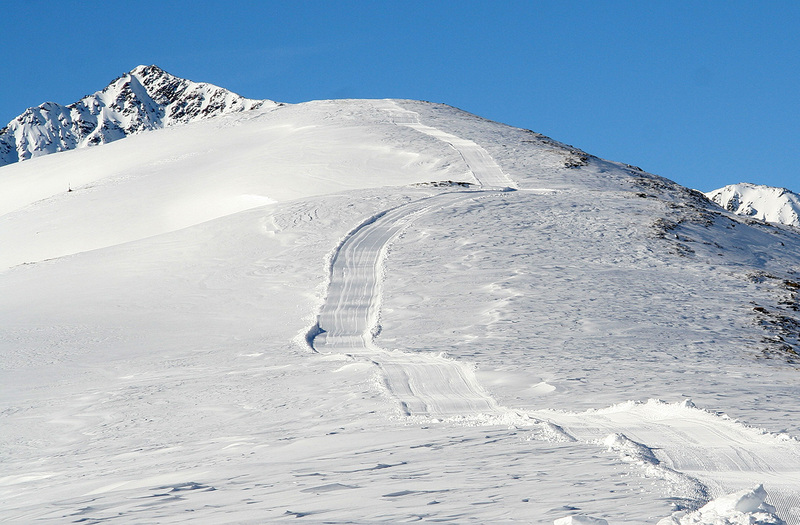 How to get there: This mountain is served by a gondola lift from the village of Obergurgl. Obergurgl is located at the very end of Ötztal. Take E60 west from Innsbruck, then turn south into Ötztal. 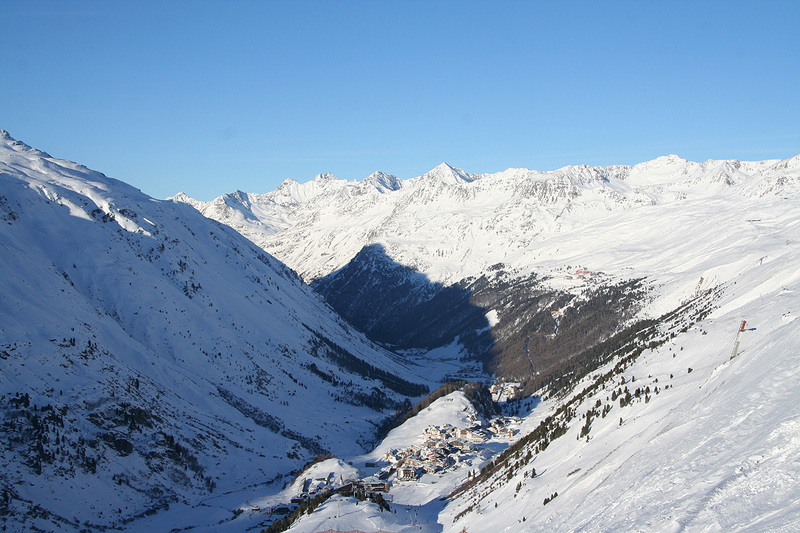 Drive through Sölden, Obergurgl is about 10 kilometer further. 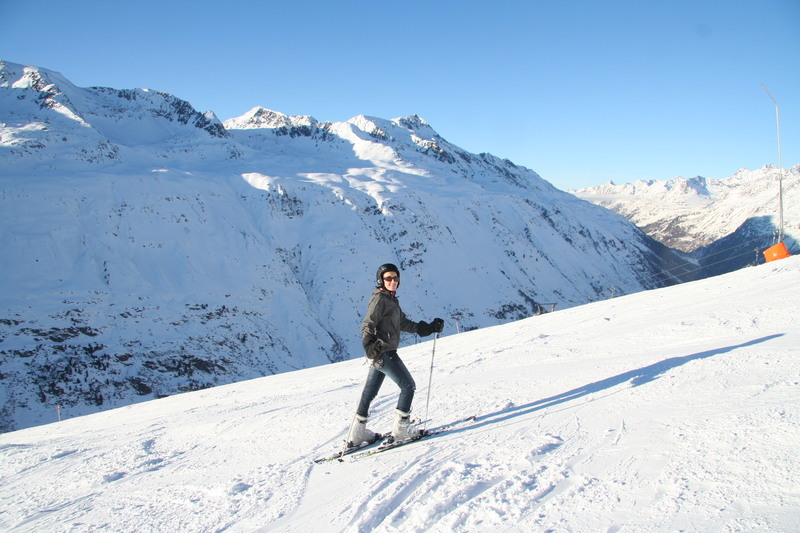 Route description: From the upper side of the village of Obergurgl, head up the downhill slope. Comments: I visited the University "Zentrum" in Obergurgl, the concluding workshop of the RICAM Special Semester on Computational Biology had been assigned to this winter sport village. I started out at 1245, took a wrong turn (by going left) near the first station on the gondola lift. When I discovered my mistake, I decided to ski straight uphill, more or less below the gondola line. This was slightly cumbersome as the steepness forced me to ski a line that would not avalanche. Eventually, I came out near the top and then easily moved under the security net and back into "official skiing territory". I reached the summit after 1.5 hours, then proceeded to ski down into the saddle that connects this little mountain with bigger, alpine peaks. The views up here are quite dramatic, big peaks in all directions. The saddle was measured to be exactly 100 meter below the summit, using 100 GPS samples for the summit as well as for the saddle. 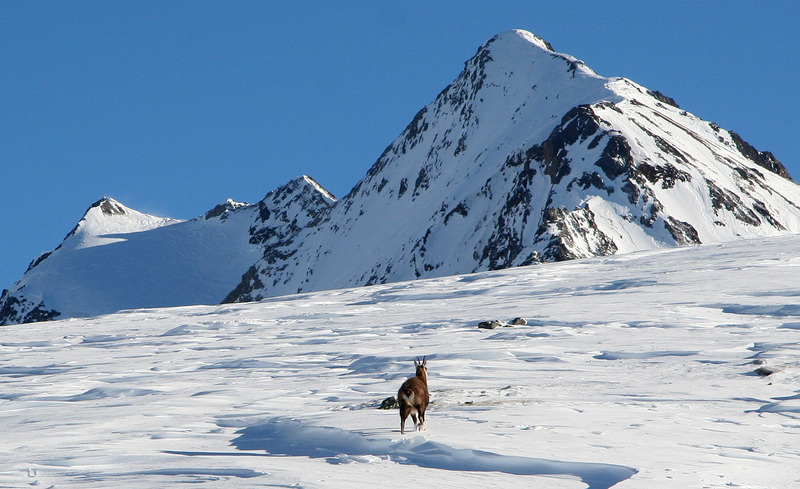 There were no other skiers nearby and I came upon a pretty large mountain gemse, amazing that these animals can survive up here, this goes for locating food as well as surviving avalanches. 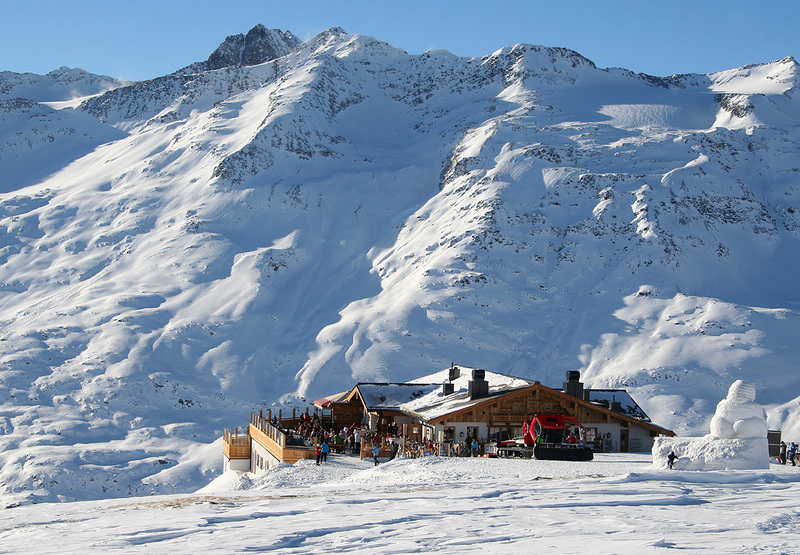 I skied back and visited the mountain hut that served skiers, quite a nice place. Then back down along the official downhill, my Telemark skiing is far from perfect and I think this means renting alpine equipment tomorrow. I did 5 hours worth of alpine skiing on the next day, Thursday. Friday, I spent about the same time on teaching Antonio's girlfriend how to ski. 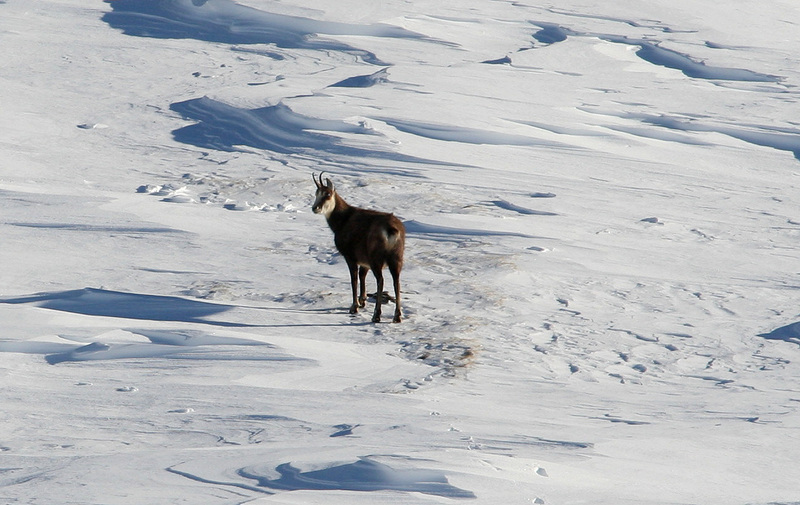 She had arrived more or less directly from Brasil, her first trip to Europe, and had not even seen snow. After one half day of intense practice/learning, she could do the blue trails, quite good for being a beginner. 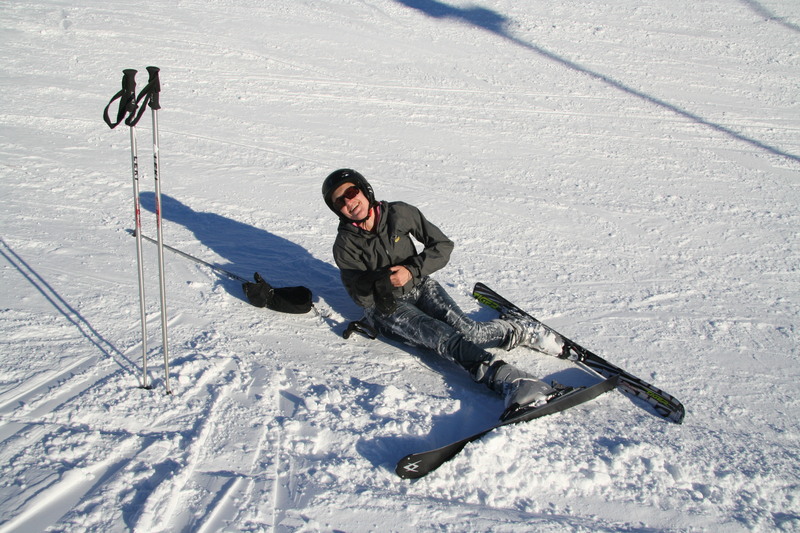 Saturday, had the same nice weather and I skied another 5 hours, all across the mountain. I visited the highest skiing point, Wurmkogl at 3032 meter and took a few panorama pictures (see below). The location of Wurmkogl is N46:52.812 E011:05.000, however it is not an independent mountain. 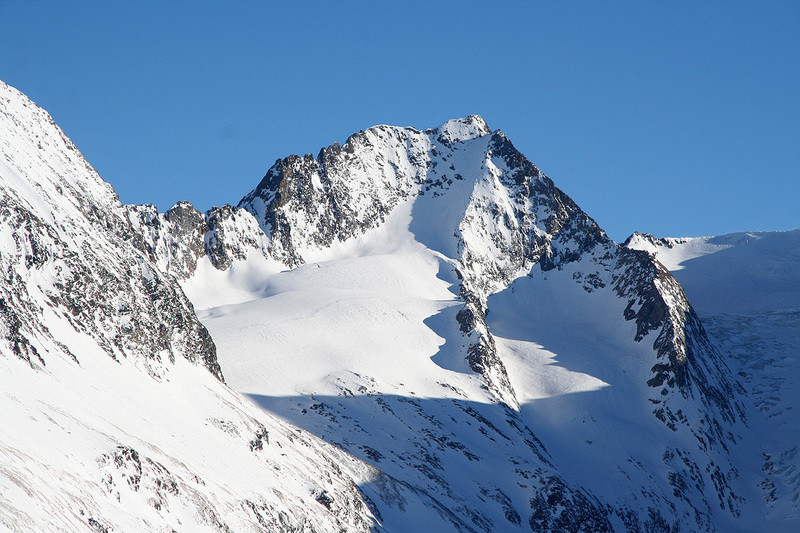 Hohe Mut, as seen from its defining saddle. Impressive peak, seen from Hohe Mut. 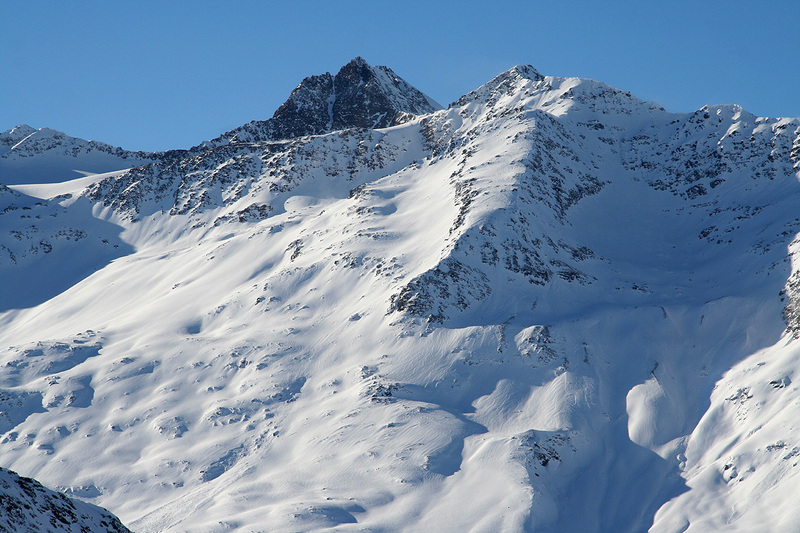 Peak details, seen from Hohe Mut. More mountains, as seen from Hohe Mut. 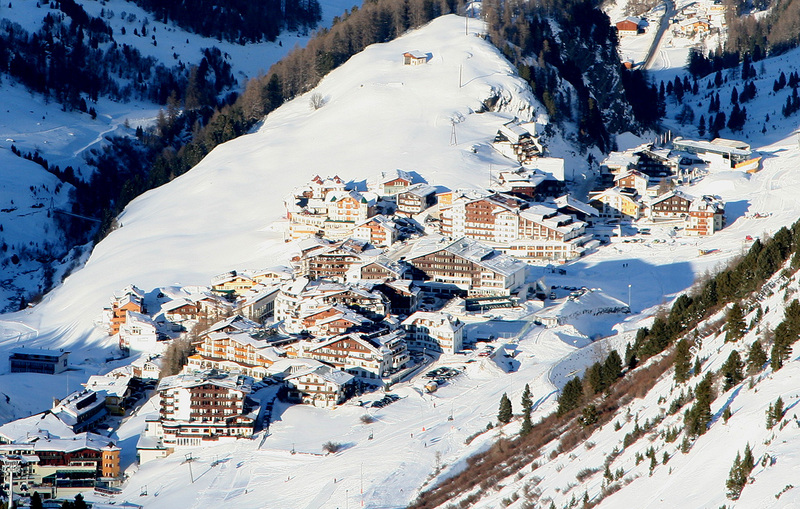 Obergurgl, as seen while descending. Wurmkogl Panorama I, the Dolomites (annotated).